Abraham, the first Hebrew named in the Bible, received a covenant from the Lord God in approximately 2040 B.C. One of the components of that covenant was that at some time in the future his progeny would be enslaved by another nation. The Bible gives a prophecy about the development of a world empire out of which a man called Antiochus Epiphanes would emerge. In this clear example of Bible typology God is giving us an example of the coming Antichrist and what he will do in the middle of the Great Tribulation. He along with the False Prophet who will be the leader of all the heretical pagan world’s religions will place an image of the Antichrist in the rebuild Jewish Temple. Because of the Antiochus typology we assume it will be placed in the Holy of Holies where it will come alive. The Abomination of Desolation was prophesied by The Lord Jesus (Matthew 24:15) and will be carried out by the Antichrist and the False Prophet (Revelation 13:14-15). Jesus wants His children to realize what is coming. We have the example of The Lord Jesus telling His inner circle; Peter, James John and Andrew of future end time world events in His Olivet Discourse. He said to them, “Take heed that no man deceive you” (Matthew 24:4). Jesus also wants to strengthen our belief by telling us events long before they occur. And now I have told you before it come to pass, that, when it is come to pass, ye might believe (KJV). 312-280 B.C. 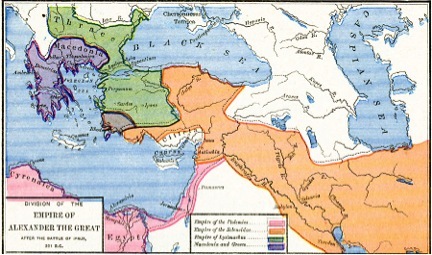 Seleucus I Nicator succeeds as ruler over the Israel region. 280-261 B.C. Antiochus II Soter assumes leadership over Israel. 261-246 B.C. Antiochus II Theos replaces Soter. 246-226 B.C. Seleucis II Callinicus assumes control. 226-223 B.C. Seleucis III Keroneos rises. 222-187 B.C. Antiochus III The Great took control. 187-175 B.C. Seleucis IV Philopator plundered the Temple and raised taxes to the Jews. 175-164 B.C. Antiochus IV Epiphanes is the brother of Philopator and he begins a very severe persecution of the Jews, which causes a revolt led by the Maccabeans, and creates a turning back to God by the Jews for a short while. Epiphanes’ name means “God made manifest.” Epiphanes sought to force Greek culture and manners on the Jews. In imposing Hellenism, Epiphanies was following the intentions of Alexander whose dream was to create an empire, not by the sword but by culture. Because of this Hellenization, the region was speaking Greek by the time of Christ and the New Testament, which was written in Koine Greek and spread quickly because so many people throughout the empire knew Greek. (I Maccabees 1:60, 61, RSV). 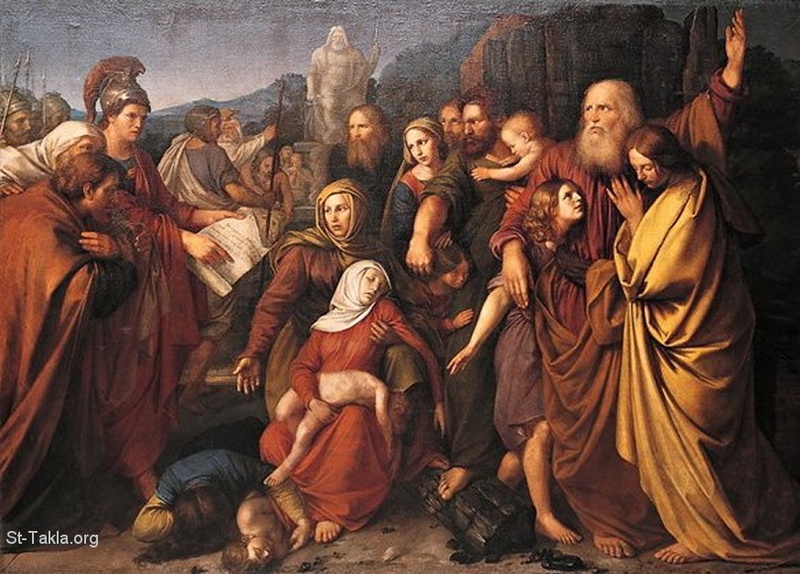 These events were the cause of the Maccabean struggle and a revolt followed. As a result of the persecution many Jews hung on to God and His commandments, and many in Israel stood firm and did not bend to pagan rituals being forced upon them. Another example was staying resolved in their hearts not to eat unclean food. “But many in Israel stood firm and were resolved in their hearts not to eat unclean food. They chose to die rather than to be defiled by food or to profane the holy covenant; and they did die. And very great wrath came upon Israel” (I Maccabees 1:62-64). 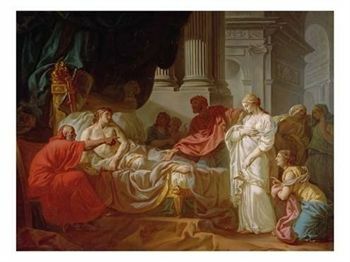 Epiphanes enacted a law requiring all citizens to present themselves four times a year to pay formal homage to Antiochus Epiphanies as the senior god of the Seleucids. The day chosen for these periodic submissions was Shabbat, the Jewish day of prayer when Jews preferred not to leave their homes. Epiphanes was met by a revolt, called the Maccabean Revolt (167-160 B.C. ), in which the Jews set up a small state in which the high priest was the central figure and this gained the Jews their independence for a short while. God let the Jews get themselves out of the trouble they brought upon themselves. It is important to realize that even though God uses evil people to carry out His will, He punishes them for their wickedness. Here are two accounts of Antiochus’ death, from I and II Maccabees. 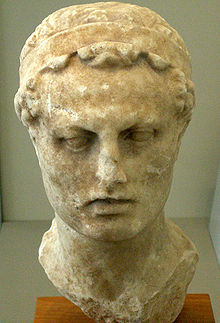 Antiochus Epiphanes died in 164 B.C. This prophecy of Daniel 8:23-25 goes beyond what was historically fulfilled in Antiochus to foreshadow the Antichrist in the “Latter Days.” Antiochus is used as a type or model of the future coming world leader. 23And in the latter time of their kingdom, when the transgressors are come to the full, a king of fierce countenance, and understanding dark sentences, shall stand up. 24And his power shall be mighty, but not by his own power; and he shall destroy wonderfully, and shall prosper and do his pleasure; and he shall destroy the mighty ones and the holy people. 25And through his policy he shall cause craft to prosper in his hand; and he shall magnify himself in his heart, and in their security shall he destroy many: he shall also stand up against the prince of princes; but he shall be broken without hand (ASV). What he did was a type or model of what the future Antichrist will do in the rebuilt Jewish Temple. This is called the Abomination of Desolation. Josephus, Flavius. The Works of Josephus Translated by William Whiston. Peabody, MA: Hendrickson, 1987, 323. 17 And the king of Sodom went out to meet him, after his return from the slaughter of Chedorlaomer and the kings that were with him, at the vale of Shaveh (the same is the King’s Vale). 18 And Melchizedek king of Salem brought forth bread and wine: and he was priest of God Most High. 19 And he blessed him, and said, Blessed be Abram of God Most High, possessor of heaven and earth: 20 and blessed be God Most High, who hath delivered thine enemies into thy hand. And he gave him a tenth of all. 21 And the king of Sodom said unto Abram, Give me the persons, and take the goods to thyself. 22 And Abram said to the king of Sodom, I have lifted up my hand unto Jehovah, God Most High, possessor of heaven and earth, 23 that I will not take a thread nor a shoe-latchet nor aught that is thine, lest thou shouldest say, I have made Abram rich: 24 save only that which the young men have eaten, and the portion of the men that went with me, Aner, Eshcol, and Mamre. Let them take their portion (ASV 1901). So we have a righteous king identified in the eighteenth verse that goes out to meet Abram. He is further identified as the king of Salem, which is ancient Jerusalem (Psalm 76: 2). They meet in the vale of Shaveh, which is the valley of Jehoshaphat on the east side of the temple mount. On the east of that valley is the Mount of Olives. Today this valley is called Kidron. It will be the location where the Lord Jesus judges the sheep and goat Gentiles after the Great Tribulation in the seventy-five day interval before He sets up His Millennial Kingdom. It is named after the king of Judah who reigned from 867-851 B.C. This Hebrew title of God is found four times in these verses. It is only found elsewhere in Psalm 78: 35. Frequently we find “Most High” but only here and in Psalm 78 do we see “God Most High.” With this designation appearing here so uniquely it has special significance. First it means that God is the possessor of heaven and earth. It also means that Jehovah God had a relationship with Melchizedek. And Melchizedek was a follower and minister of the Lord of Heaven and Earth. Some have suggested that he was a preincarnate appearance of the Lord Jesus. Or even a theophany. This designation is difficult to validate when compared to other preincarnate appearances of the Lord Jesus since in those instances they don’t hold an office on earth. They make a quick appearance and then they are gone. Here Melchizedek is said to be both priest and king. Abram acknowledged him as his superior and seemed to recognize that God had revealed Himself to this man. Later during the Levitical priesthood under the Mosaic Law the offices of priest and king were separate and were not to be combined. The Lord Jesus did hold both offices as being God Himself. The book of Hebrews teaches us that the Law was imperfect (Hebrews 7:11) and was only a shadow of things to come. The writer of Hebrews is making a case for necessity for the Lord Jesus to come into the earth as both king and our priest fulfilling the Law. The Law could never save us only point out our sin. 7 What shall we say then? Is the law sin? God forbid. Nay, I had not known sin, but by the law: for I had not known lust, except the law had said, Thou shalt not covet. 8 But sin, taking occasion by the commandment, wrought in me all manner of concupiscence. For without the law sin was dead. 9 For I was alive without the law once: but when the commandment came, sin revived, and I died (KJV). It is only the Lord Jesus who can forgive sin. Melchizedek did not forgive sin. He blessed Abram but did not forgive any sin. In Hebrews we see that Melchizedek is used as a “type” of the Lord Jesus. Since he was a priest and a king. David knew that this was the case too as he wrote in Psalm 110. 1 The LORD said unto my Lord, Sit thou at my right hand, until I make thine enemies thy footstool. 2 The LORD shall send the rod of thy strength out of Zion: rule thou in the midst of thine enemies. 3 Thy people shall be willing in the day of thy power, in the beauties of holiness from the womb of the morning: thou hast the dew of thy youth. 4 The LORD hath sworn, and will not repent, Thou art a priest for ever after the order of Melchizedek. 5 The Lord at thy right hand shall strike through kings in the day of his wrath.6 He shall judge among the heathen, he shall fill the places with the dead bodies; he shall wound the heads over many countries. 7 He shall drink of the brook in the way: therefore shall he lift up the head. He knew that one would come from God who would be God and would usher in the establishment of a messianic priesthood and kingdom. This Psalm was written about 500 years after the inauguration of the Levitical order. This shows that David realized the imperfection and impermanence of the Levitical order. Melchizedek is only a follower of God and not God Himself. Jesus is forever a priest and king. The Jewish Midrash Rabbah (Bereshit Rabbah) teaches that Shem, Noah’s son and the Messianic seed son is Melchizedek. This is not too farfetched an explanation since Shem continued to live thirty-five years after Abraham died. Both lived in the same region of Mesopotamia. Of the three sons of Noah Shem was the most righteous and was chosen to bring the Messiah through his line of descendants. It is altogether possible that Melchizedek is Shem. The Bible teaches that Shem lived for 35 years longer than Abraham, which makes this Midrash all the more plausible. Abram took wine and bread (not communion) from him and gave him a tenth of the spoils of the war. The rest of the spoils went to the king of Sodom and others including food for his 318 warriors. Abram did not want anybody to say they made him rich. Some remarks on this section of Scripture are in order as we conclude. This is the only place in Scripture where Abram is portrayed as a warrior. God does not speak in this chapter. A high priest-king represents him. The Abrahamic Covenant is operative here as a blessing for blessing occurs. The curse is seen in the demise of the four kings. Melchizedek has no record of a genealogy. Not that he did not have one, there was just no record of it. The term Zedek is a common name. We find it in Joshua 10: 1 where the king of Jerusalem was called Adonizedek. He was wicked and idol worshipping not the “Lord of Righteousness” as his name would suggest. a. 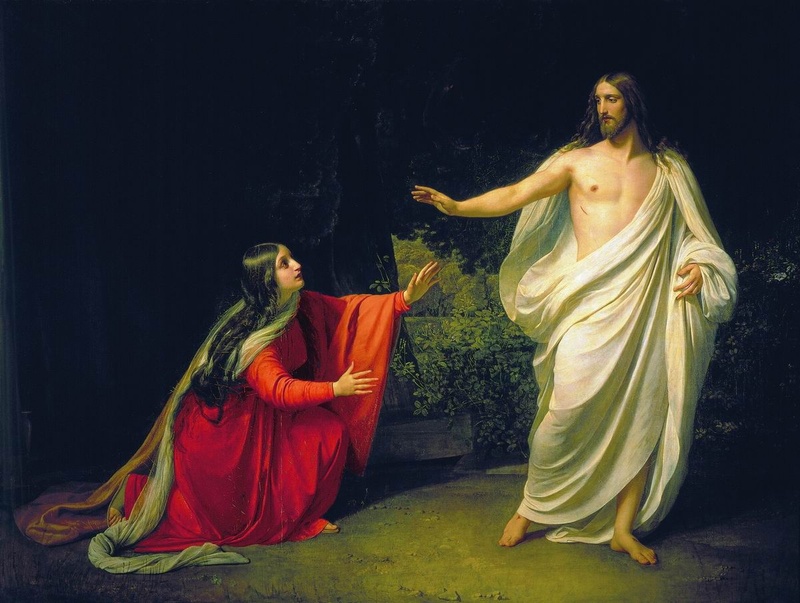 Was he a “theophany”, a pre-incarnate appearance of Christ? b. Was he is an angel? Enoch? Shem? c. Was he simply a man? d. And how does he remain a priest continually? Understanding “The Greatness Of Melchizedek” helps prepare us to appreciate the superiority of Christ’s priesthood over the Levitical (Aaronic) priesthood. Jesus currently holds to all three offices eternally (Prophet, Priest, and King) but he functions in them chronologically. He came as a prophet (John 4:44). Today he is currently holding the office and functioning as high priest (Hebrews 5:6,10). He was announced as King in his 1st coming but was rejected (Matthew12: 22-45). At his 2nd coming he will be realized as king and function as one (Isaiah 9:6 Matthew 25:34-45). Both type and fulfillment of Melchizedek are king and priest, By their being no genealogical line with no record of birth or death he prefigures Christ as the priest who continues forever. In the O.T. no King could be a priest nor could a priest function as a King. Only Christ is able to fill the office of being a Priest, a Prophet and a King (Hebrews 7:17, 20, 24). If Melchizedek was Christ we would have to deal with two incarnations, since all priests were taken from among men. If he is a type of the one who was to come, then it would certainly fit the Biblical account and make more sense. This however remains an enigma with scholars debating on both sides but all agree together in its typology.